The fortunes and prospects of California’s Salton Sea have ebbed and flowed over the years. Currently, the Sea is enjoying renewed attention and funding, after almost a decade of neglect and indifference. The State of California is poised to dedicate $80 million to efforts to protect and revitalize (a small portion of) the Salton Sea, prompted in large part by a fast-approaching tipping point that will see a dramatic shrinking of the Sea, devastating its rich ecosystem and imperiling the health of hundreds of thousands of people in the region. California Governor Jerry Brown signed the state budget last Thursday. Unfortunately, the governor line-item vetoed funding for the Salton Sea Financial Assistance Program (FAP), a program requested and strongly supported by the Pacific Institute and other organizations. The Institute has written extensively about the Salton Sea’s current and future problems. In four and a half years, rapid and extreme reductions in the volume of water flowing into the Salton Sea will cause catastrophic ecological changes and will very likely lead to widespread dust storms, adversely affecting human health in both the Imperial and Coachella valleys. 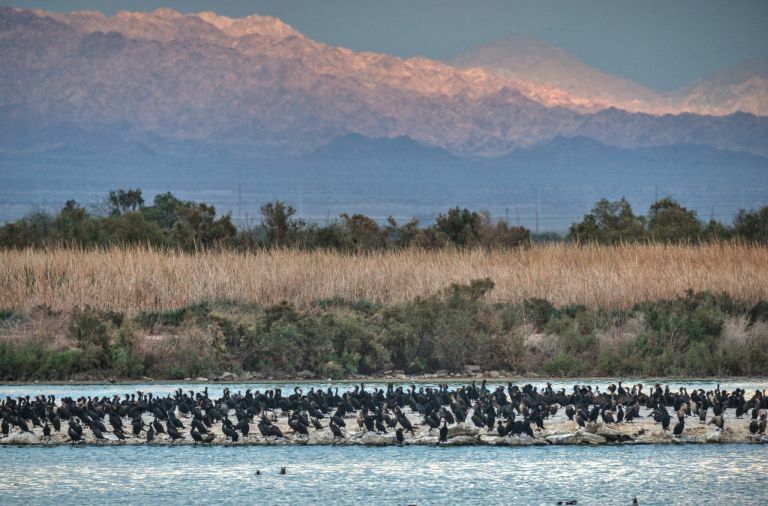 We desperately need programs like the FAP to direct funds to local habitat and air quality management projects that can be built quickly and cheaply, to offset some of these impacts and to demonstrate what can be accomplished at the Salton Sea.